The Big Day deserves the Big Attire. If the bride has dreams of her dress for long, the groom should have done so with his outfit - and it should include Cufflinks otherwise it won't be complete. Don't take any risk of being underdressed and choose the best cufflinks that will enhance your suit. Nowadays, it's acceptable for either the brides' dad and the best man to wear custom made assorted cufflinks. See here our assortment of wedding-themed silver cufflinks to make your Best Day the perfect day. If you're the Groom, the Father of the Bride or the Best Man, you have to dress up and arrive in style. 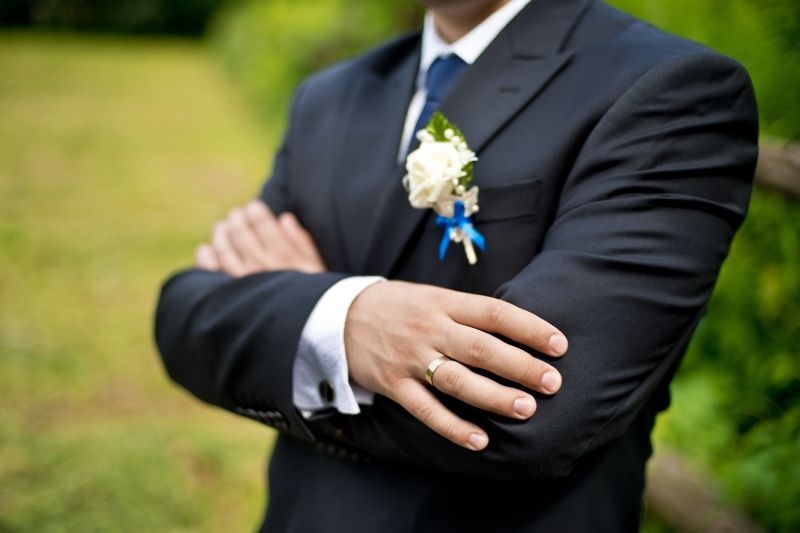 As Father of the Bride, your beloved daughter wedding is an occasion big enough for the Father of the Bride to show his love to his little girl through one of the most popular piece of men jewelry: his cuff links. Find here a selection of "Father-Of-The-Bride" themend Cuff Links for you or your father, to wear on a day to remember for ever. As Best Man, the look has to be perfect for your mission of being the last wing man of the groom. Therefore, have a look at our range of Best Man cuff links. And the Groom, being ready to tie the knot, being good looking is not enough. The man all the eyes will be on, next to the beautiful Bride, deseres beautiful cuff links to add this little touch of chic.